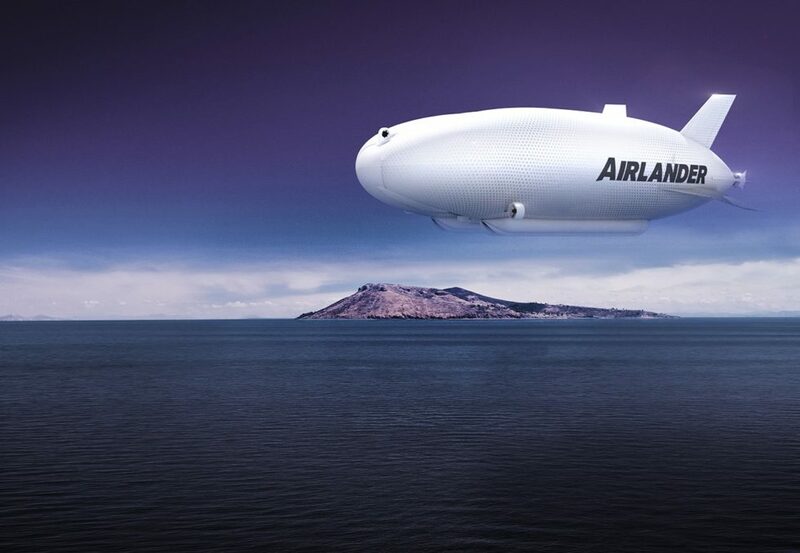 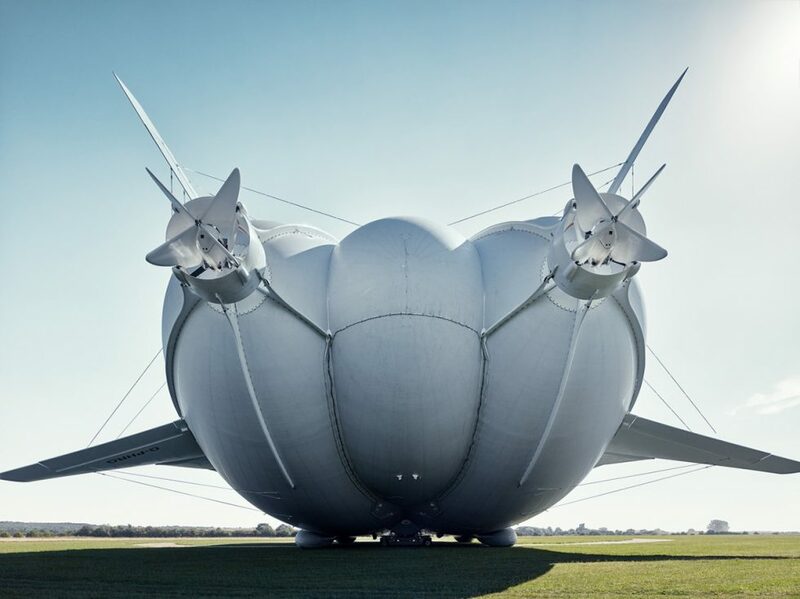 Airlander, designed and developed by Hybrid Air Vehicles, is a new, innovative concept in air transportation that brings together technologies from aerodynamics, lighter than air and electronics disciplines. 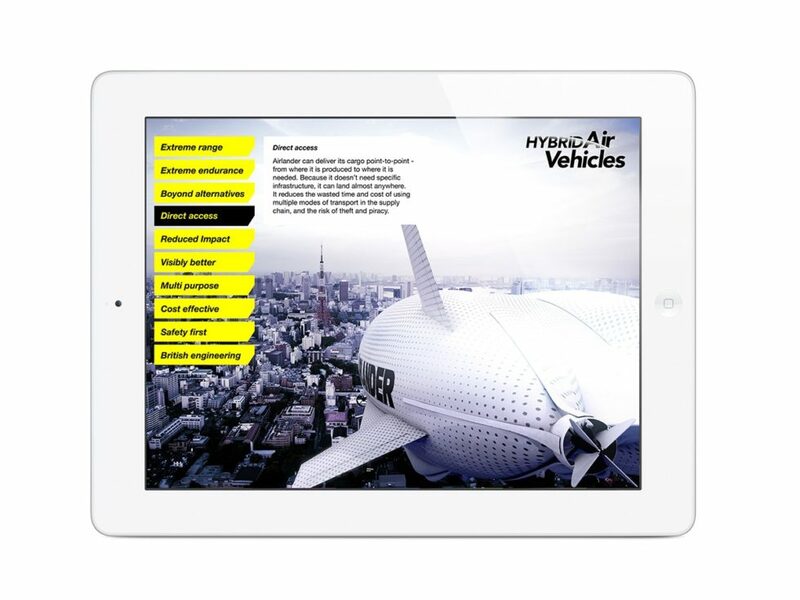 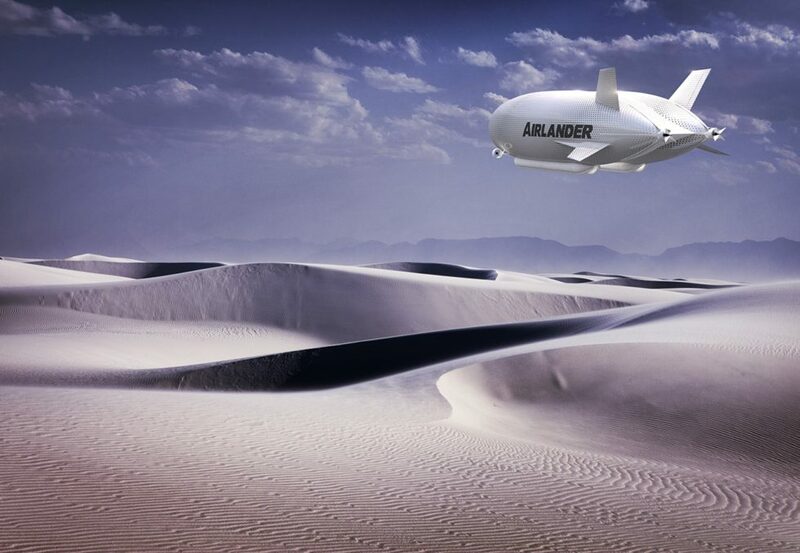 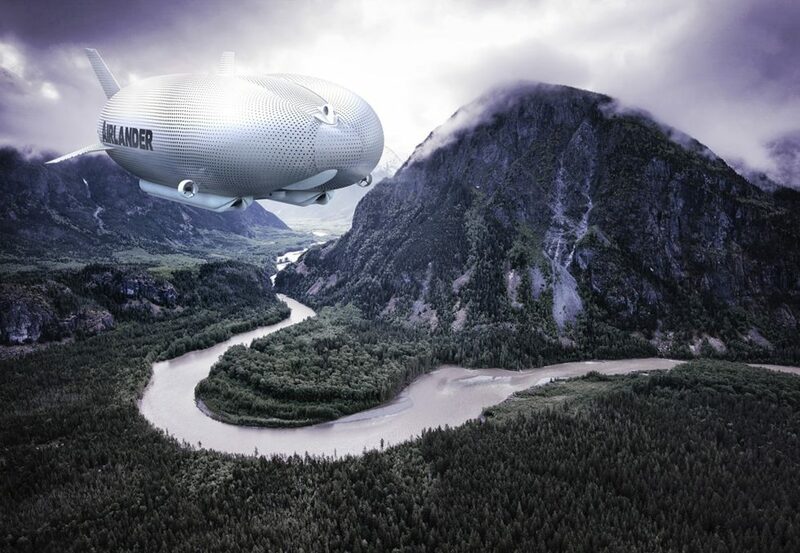 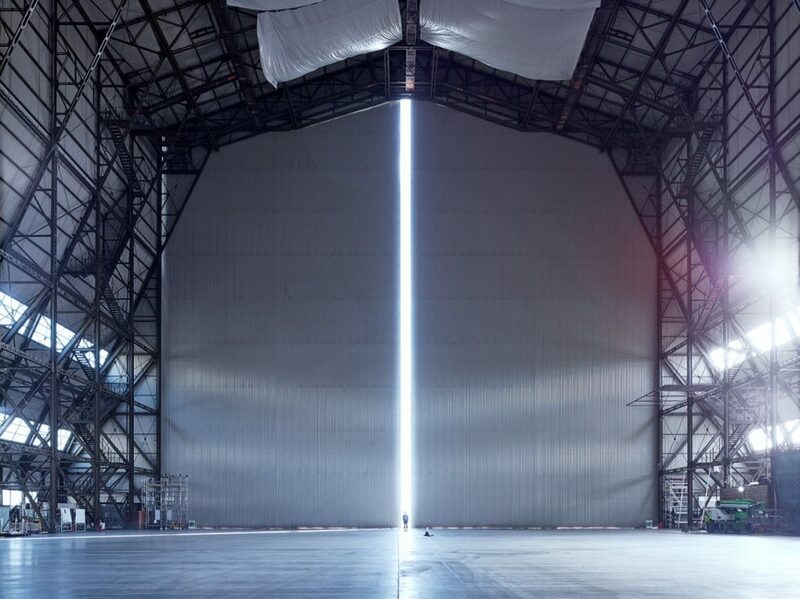 Powered by inert gases, Airlander is safer than hydrogen powered air vehicles, is extremely efficient and does not require infrastructure to take-off or land making it both flexible and cost effective. 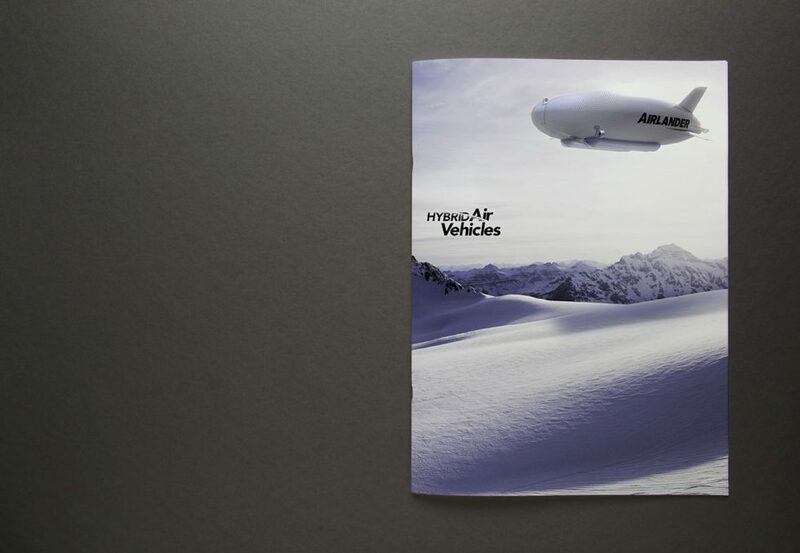 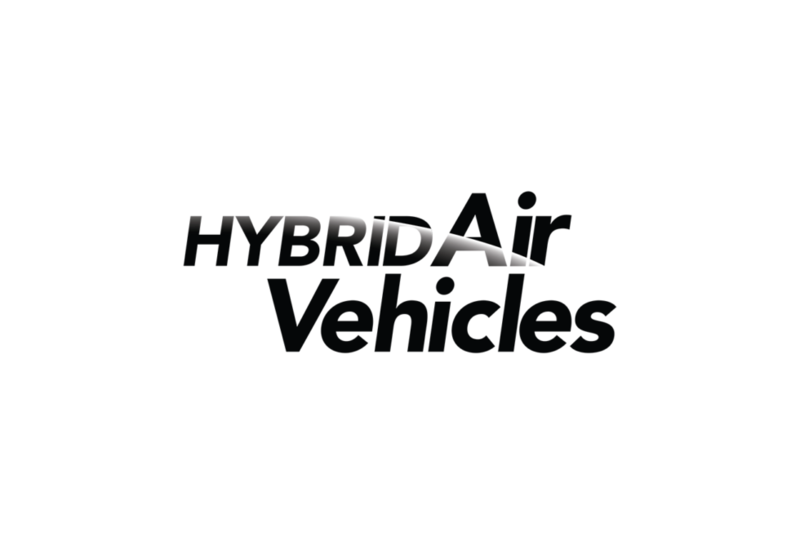 Taking inspiration and visual cues from world travel and discovery as well as the viewpoint hovering above a planet’s atmosphere, a new logomark for Hybrid Air Vehicles was created. 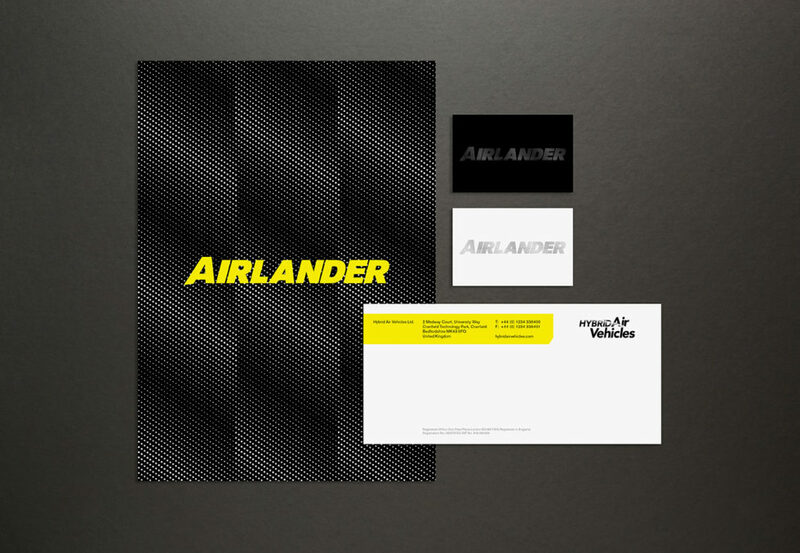 An identity for the Airlander product was also developed, with inspiration coming from the mechanical craftsmanship that goes into developing the aircraft. 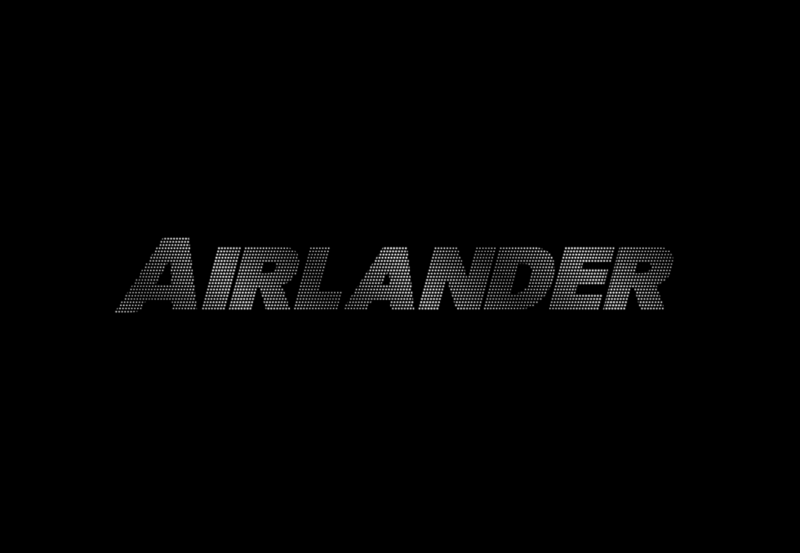 The extended height of the initial ‘A’ as well as the subtle forwards slanting of it’s character references the vertical stabiliser positioned at the rear of the air vehicle.